You’ve seen the world from a new perspective on Wild Walk. 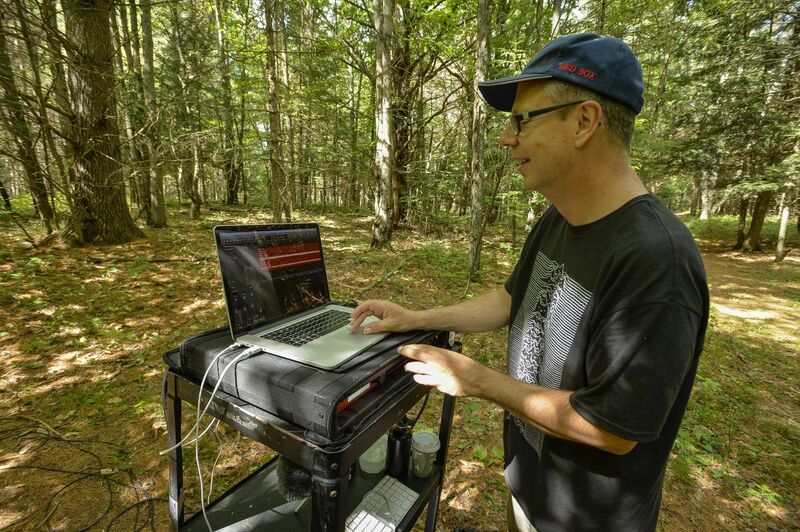 Now, experience and connect with the natural world through music in iForest: One of the first immersive sound and art installations of its kind on The Wild Center’s campus in Tupper Lake. 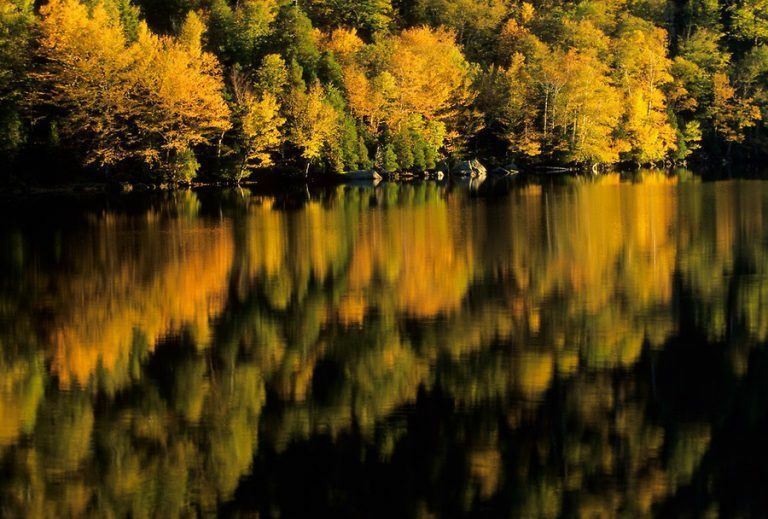 iForest is the brainchild of British composer Pete M. Wyer and features the place-based musical composition “I Walk Towards Myself,” created by Wyer for this specific space and land in the Adirondack forest. 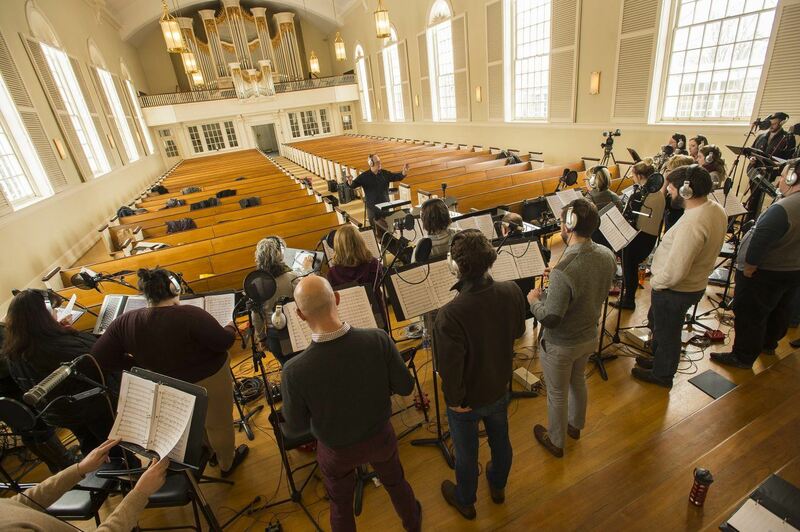 The composition features voices from members of The Crossing, the renowned Philadelphia-based chamber choir, which are broadcast via twenty four hidden speakers in the surrounding woods. 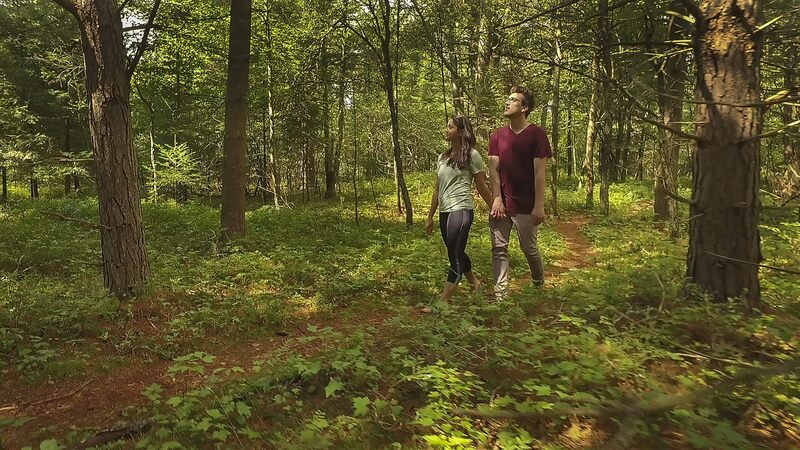 Walk along iForest’s path and take in the music and sounds of “I Walk Towards Myself.” With each step, evoke a new feeling, revel in a new sound, or listen to a new voice. The beauty of the iForest experience is that it morphs and changes not only with each step, but each shift in weather, season, and day. 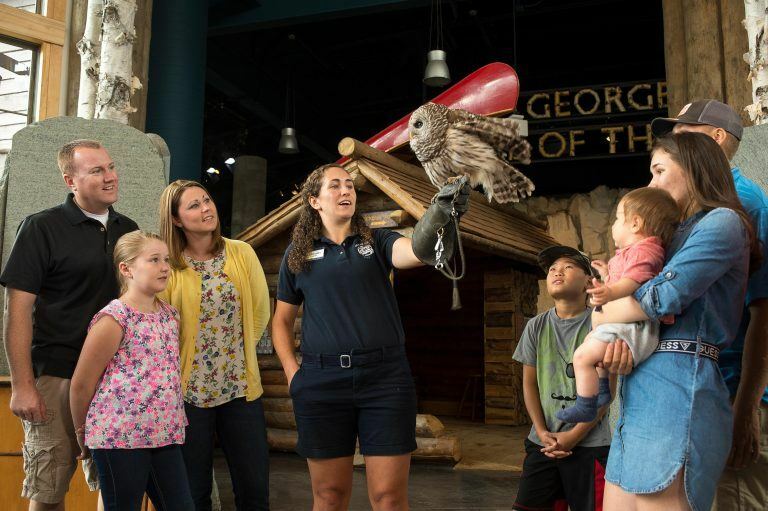 Learn more about iForest: The newest outdoor exhibit at The Wild Center. iForest is a place-based sound and art installation, meant to create a novel way of experiencing nature. Twenty four speakers are arranged around a ⅕ mile, 1,000 foot loop, with each speaker playing specific segments of Pete Wyer’s musical composition, “I Walk Towards Myself.” As the listener travels along the trail, the combination of voices from the speakers creates a unique auditory experience, dependent not only on time, but the listener’s movement through space. What does iForest look like? iForest consists of a path in a woods surrounded by twenty four hidden speakers, each playing individual voices of Pete Wyer’s musical composition, “I Walk Towards Myself.” Visitors move along the path at their own pace, experiencing the piece as they travel through it. Pete M. Wyer is an English composer and musician with an interest in storytelling and innovation. He has developed a system for guided improvisation called ‘Time Structured Mapping’ and is continuing to develop a scoring system for spatialized instrumental music which is used in his immersive sound works. Learn more about Pete Wyer on his website. The Crossing is a professional chamber choir based in Philadelphia, PA. Conducted by Donald Nally, they are dedicated to new music, and seek to expand the contemporary choral music experience through commissions, collaborations, community, and performances that are characterized by a distinctive unity of sound and spirit. Learn more about The Crossing. Pete M. Wyer composed the piece, “I Walk Towards Myself,” specifically for this installation of iForest and The Wild Center. Parts of it are sung in the Mohawk language. It is performed by The Crossing, a choral group dedicated to new music. When is iForest open? Is it weather dependent? iForest will be open when the museum is open and is currently scheduled to remain open until Columbus Day. Visitors can experience iForest, rain or shine. How do I use iForest? Where do I access it? As an artistic creation and art installation, iForest is meant to be a reflective experience. Visitors are encouraged to walk the loop trail, leaving some distance between themselves and other visitors. The music is best enjoyed keeping other sounds to a minimum. Take your time and move at your own pace. As you walk the path, your experience of iForest will be unique depending on how you move through the space, and at what point in the music you are entering the trail. How long is the iForest trail? Is it accessible? The entire iForest loop is 1,000 feet. The entrance is a five-minute walk from The Wild Center’s main building. iForest has limited accessibility. It is accessible by motorized wheelchairs, but there may be some difficulty with push wheelchairs and some strollers. Has anything like this ever been done? iForest is unique in that it represents one of the first immersive art installations of its kind in the world. Pete Wyer has previously used time-structured mapping in his work Insomnia Poems, based on Steve Dalachinsky’s poem’s of the same name. Pete began experimenting with the concept of space and time as it relates to music with his “Simultaneity” works: Works which made recordings at the same time in different locations. The first recording of this type was made in New York City’s Columbus Circle in 2004.
iForest is borne of these endeavors, and at the same time represents a new direction. The ”Immersive Forest Sound Installation’, nicknamed ‘iForest’ for short, began as an arts project in 2005 at Portsmouth University. The installation featured multiple iPods in a single room, each with separate content, playing parts created to be experienced by walking through the space. Each iteration of iForest is a site-specific response to the environment in which it is installed, created by Pete Wyer. 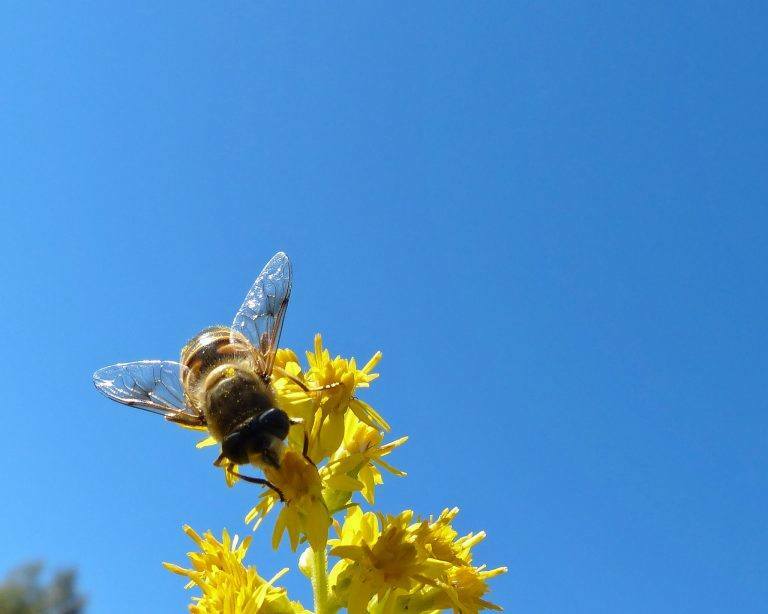 Will iForest bother the wildlife? 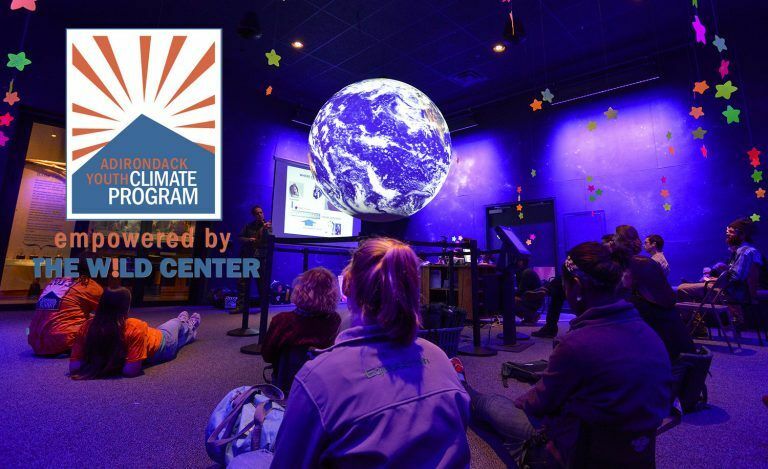 When it comes to “wildlife,” The Wild Center campus should be considered ‘impacted’ already. On a busy day the trail around Greenleaf pond, the café outdoor seating and the tent are used by hundreds of people making noise. We intentionally located iForest close to what is already an impacted area, including our main building, parking lot, Wild Walk, and Pines Play area, for minimal impact to wildlife. Composer Pete Wyer in iForest. 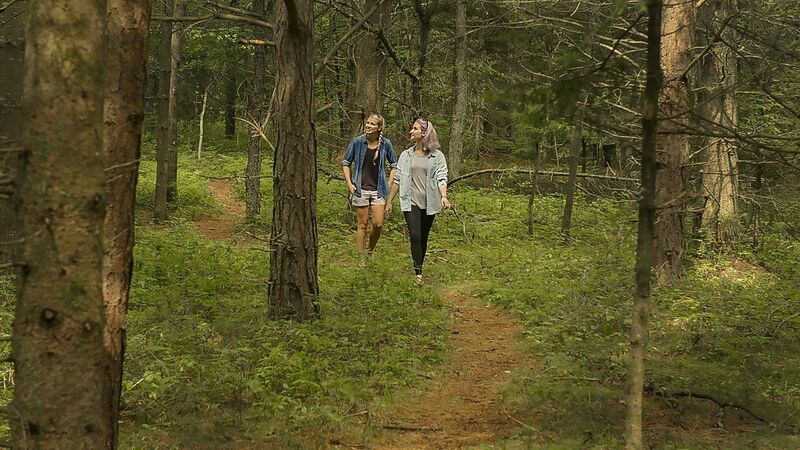 Taking a walk through the immersive sound experience iForest on The Wild Center's campus.